Do you make your own cheese or would you like to? We are pleased to be sponsoring a cheese-making competition at the Coleman’s Hatch Flower Show in July. The competition is open to amateur cheese makers and will give them the chance to have their cheese tasted and critiqued by the experts. 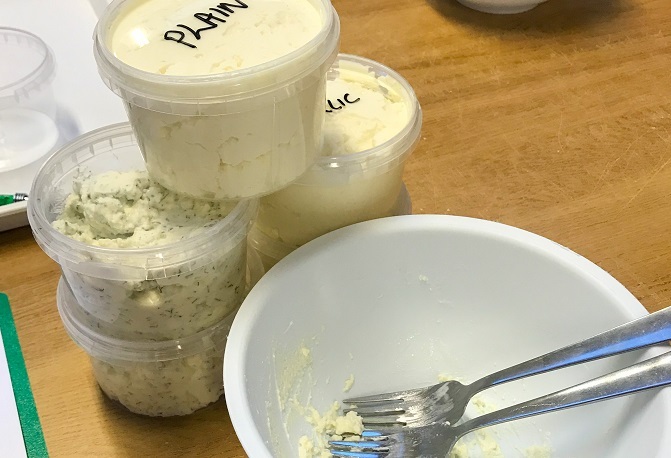 It’s perfect for those who have been on our one-day cheese making course which teaches all the skills needed for people to make their own cheeses at home. You might have a cheese already maturing that you would like to enter, or you might like the chance to put skills learned on the course to the test as you make a new one. The closing date for entries to the cheese-making competition is Wednesday July 25th ahead of judging which takes place at the show on Saturday July 28th leaving plenty of time for harder cheeses to mature. Whether it’s your first time making cheese or you consider yourself a bit of an expert, the competition should be a good fun way to compare your wares against other amateur cheese makers, to share your skill and perhaps to win a prize! Cheeses will be judged by High Weald Dairy cheese makers and the best from the five classes will be awarded the Supreme Champion Trophy. See below for the competition rules. 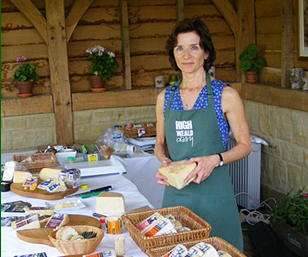 The cheese-making competition is one of a number of competitions that take place at Coleman’s Hatch Flower Show, an annual event which has taken place for decades in the village of Coleman’s Hatch. It’s just a few miles from the High Weald Dairy and within the Ashdown Forest and the High Weald Area of Outstanding Natural Beauty. The show is, of course, centred on home-grown flowers and plants with classes for vegetables, fruit and lots more. There are also competitions for children and a range of activities on the day. Cheesemakers can enter more than one class and can enter more than one cheese in each class. Each entry for class 1 – 4 should provide a portion of cheese, no less than 200g. Entry for Class 5, should be a minimum of 500g as the public will taste and vote on the cheese. Cost of entry is £ 1.00 for each cheese entered for each class. Please pay be cheque or enquire for BACS details. Entry forms are available to download from the flower show website downloads page. Entries (cheeses) will be received on Saturday July 28th, 2018 by 10 am; which is the day of judging.